I was already a big fan of all of the products from Nexxus and I have always liked their haircare line. Since Nexxus released a new line of Youth Renewal Rejuvenating haircare products, I was really curious to try them, especially because they are formulated to fight the signs of aging hair. Signs of Aging Hair?? Have you ever heard about this before...sounds scary! It's very important for me to use a good shampoo and conditioner to keep my hair nice and soft and to fight against getting split-ends, especially because I wash my hair on a daily basis. Yes, I know this is really bad for your roots, but I can't help myself since this is something I have done since I was a little girl. And of course I color my hair too....I know, I know...not good for your hair either. So I decided to give it a try last week and I can already feel the difference. I have noticed that my hair is much softer and shinier and as promised, it does reduce the frizziness...ahhh...and you can't forget the that it smells great too. The other thing I do to keep my hair looking young and healthy is to do a deep-hydration treatment every 15 days and to try and only use the flat-iron for special occasions. In summary, I love these new Nexxus Youth Renewal products and I'm very excited to try the Nexxus Youth Renewal Rejuvenating Elixir. Do you want to try the new Nexxus Youth Renewal Products? The first 500 readers will get to try it for themselves (samples provided by the Nexxus). 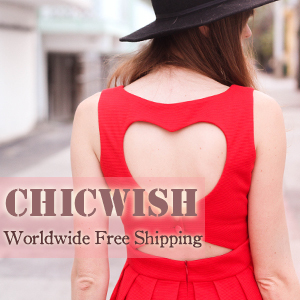 Click here to request a sample! 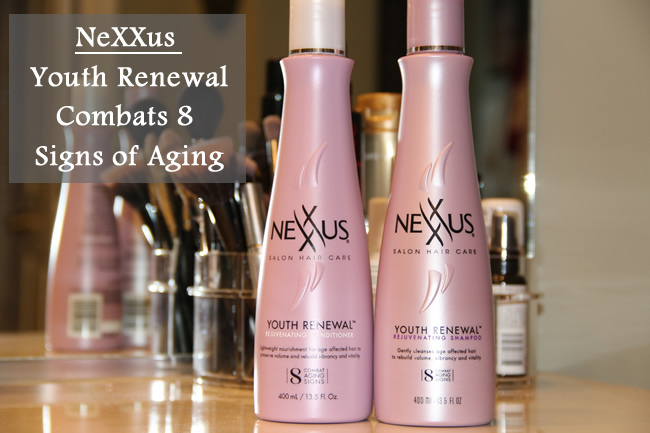 "NeXXus Youth Renewal combats 8 signs of aging hair. Our Vita-8 Complex helps improve color radiance, shine, strength, and volume, as well as reduce frizz." Omg I better start thinking about that hair do change as we age. Hi Ana, this is great! I tried this brand before (short time) but I went back to Pantene which is great. Although I would like to give this brand a try and see if it works for me. So, I just filled the sample request form :) Thanks for sharing this! Thanks for sharing your experience. I think I need to check this product soon. Deve ser fantástico esse produto. Obrigada pela torcida Ana. Tb fiquei muito feliz em ser selecionada como um dos melhores da semana. Olá, achei seu blog por acaso e ele é lindo! Gostei do seu cabelo e os produtos realmente parecem ser bons. Eu nunca usei os produtos da marca, mas olhando seus cabelos, vejo que são muito bons. Ótima Quinta, beijos! I love Nexxus I've been doing o the emergency treatment once a month for the past year and I see a big difference.